Athlete-Mom Interview: Madelaine Bate | Move fast. Think slow. Madelaine or “Maz” and I met while racing the Canada Cup mountain bike races about 10 years ago! Since then she has become the mother of 5 year old Eva and 2 year old Liam. 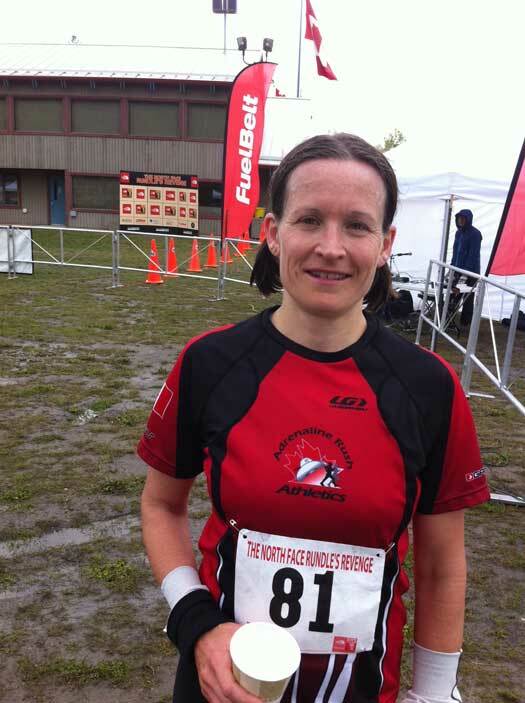 While living in Calgary with her husband Lonn, who has also remained very active and competitive on his bike as well, Madelaine has continued to stay fit and set challenging and compeitive goals mountain biking and running! She recently went on a solo adventure to compete in the Commonwealth Mountain Running Championships in Wales! After running a blazing 3:10 at the Boston marathon in April she will soon be off to conquer the marathon distance again in New York City on November 5th! Here is what she had to say about how her athletic journey has progressed and evolved into motherhood…. 1. Can you tell me a little about your athletic/competitive background before becoming a mom? Starting in Grade 3 I became a competitive runner and cross country skier. I competed in biathlon through my late teens. I was a member of the Junior National Biathlon team and competed at the World Junior Biathlon Championships in 1992. I enjoyed adventure racing in my mid to late twenties before discovering a love for mountain bike racing. I raced my mountain bike at the elite level for about 5 years before I had my daughter. I continued to race some enduro mountain bike races post partum and still do when I feel like it. Presently I’m running road marathons and I am planning to run some off-road ultra marathons in 2012! 2. What motivates you to keep setting athletic and/or competitive goals since becoming a mother? Is it different than pre-kids? It’s fun! I love it! I feel inspired! I’ve been competing for about 30 years- it’s something that I’ve always done and enjoy. I have a passion for competition and I love to push my body. 3. How do you balance training and/or racing with your family? I go out for early morning runs (morning is a good time for me) before my husband goes to work. We own a chariot! It’s amazing how active you can be with one. My family (especially my husband) and friends are very supportive. I’m also active as part of the work I do, I teach cross country skiing & a spin class. 4. Did you train during pregnancy? What was your approach? I wasn’t on an official ‘training program’. But I did keep very active throughout. I did what felt good. I cross country skied, roller bladed, mountain biked (at Nose Hill Park close where I live in Calgary), hiked, and walked a lot. I continued to teach skiing & spin classes until about 6 months. My approach was to do what feels good and listen to my body. 5. Any advice you would give to other moms trying to stay active (or even competitive) while balancing kids? Maz at the end of a grueling 25km trail running race in Canmore! This entry was posted in Athlete-Mom Interviews and tagged athlete-mom interview, running by Danelle Kabush. Bookmark the permalink.